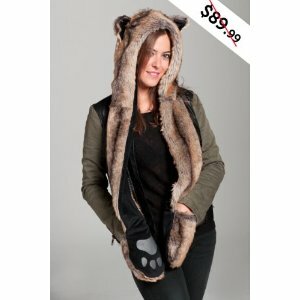 Have you ever wanted one of those animal hats with paws but you weren’t willing to pay the high price tag? 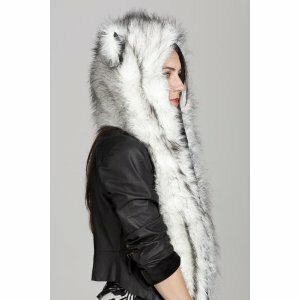 These furry animal hats are so cute and can add instant fashion to your outfit, hile keeping you warm all at the same time. I could have used one of these during football season! 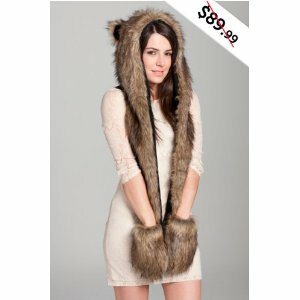 As I was browsing for some fashion deals this morning, I found this Faux Fur Animal Hat with Paws on sale for 76% off. Instead of paying the $89.99 price tag, you can get it for a limited time for only $21.99. This one is a gray husky! Update: This one is sold out, but here’s a similar one for $14.99. 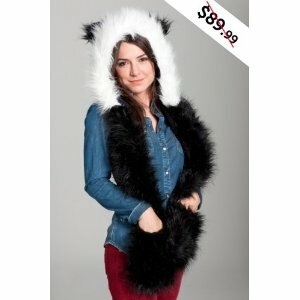 Description: This animal hat features extremely soft material and it is fully lined inside as well for your comfort. This animal hat is connected with long hand flaps on both sides that are worn as mittens, so you can fully cover up your whole head and hands in cozy warmth as well. This amazing animal hat of thick, warm and soft material is also great for winter outdoor activities like snowboarding and playing in the snow. Thick, warm and soft material. Hand washable. If you don’t want the husky, check out these other animal hats with paws. There is a panda, a wolf and more.